I cannot thank Lovereading enough for a copy of The Day I Lost You by Fionnuala Kearney in return for an honest review. The Day I Lost You is available in ebook now and is available for purchase on Amazon. It will be published in paperback by Harper Collins on 22nd September 2016 . The Day I Lost You is available to order from Lovereading, Waterstones, W H Smith and Foyles. I thoroughly enjoyed reading You, Me and Other People, Fionnuala Kearney’s debut, last year and you can find my review here. You Me and Other People is available for purchase here. Jess’s first instinct is to protect Rose, Anna’s five-year-old daughter. But then she starts to uncover Anna’s other life – unearthing a secret that alters their whole world irrevocably. When Jess’s daughter Anna is missing, feared dead, in an avalanche during a skiing holiday Jess thinks the worst has happened. She’s wrong. Things are going to get much, much worse. Oh dear. I honestly don’t think I am going to recover from reading The Day I Lost You. My heart was broken within a few pages and I basically sobbed my way through the rest of the story. This is such an emotional read. Given that the premise is based on mother and child relationships and I have no maternal feeling at all, Fionnuala Kearney has managed to reduce me to an emotional wreck which just goes to show the power of the writing. The warmth and understanding of relationships that I found in Fionnuala’s debut You, Me and Other People, are still there but I think her ability to craft a text has become much more sophisticated so that there is not a word out of place. The effect is that the emotional pull is almost overwhelming. The characterisation is outstanding. Anna is the lynch pin to the plot, and we get to know her at the same time as the rest of the characters, including those who thought they knew her best, so that we feel we are a part of the story. I empathised with Jess completely and mirrored her suspicions as the story went on. Even the most minor characters, including Pug, feel real and human. When I got to the end of the book I felt bereft. I need to know more about what happens to them in the future. They’ve almost become part of my life. But what is so clever about The Day I Lost You is that whilst it is the most perfect embodiment of raw grief and unconditional love, it is also a compelling mystery from wondering what happened to Anna in the avalanche, given her body hasn’t been found, to several more aspects that I can’t write about for fear of spoiling the plot. This isn’t a thriller, but at times I felt the same sensation in my stomach as you get when going over a fast drop. Just when I thought I knew Anna as much as Jess did, something else pulled that truth away so that I had to read more. I think what made The Day I Lost You such a perfect read for me is that it is about us. It is about all the frailties, the imperfections, the emotions that make us who we are. I loved it – every word. You can read reviews from other Love Reading readers here. Fionnuala is pronounced “Finoola”. Fionnuala Kearney is Irish, living just outside London and hugely proud to say she’s a writer. You’ll find Fionnuala on Facebook or on Twitter and you can visit her website. I’m a 5:2 diet follower so when I was asked if I’d like to host a guest piece on gluttony by William Sutton to celebrate his latest book Lawless and the Flowers of Sin, how could I refuse? Lawless and the Flowers of Sin was published by Titan Books on 12th July 2016 and is available for purchase from Amazon, Titan, the Guardian Bookshop, Waterstones and from all good bookshops. Today William ponders how we moved from austerity to gluttony in a thought provoking guest post. A Foundation for Fallen Women. An automaton chess-master. An impossible theft. Hello, hello, I’m William Sutton, author of Lawless and the Flowers of Sin, published by Titan Books. To celebrate, I’m delivering a series of Sinful Blogs. It’s not often we return to the past. For a historical novelist, an event like Southwick’s D-Day Revival Weekend can be eye-opening. I learnt something not only pertinent to my novels, but to today’s politics. What pleasure we have in dressing up. What pleasure in returning to the past, even if it is a past of make believe. My in-laws loved it, reminiscing about the styles, fashions, vehicles and ration books of their earliest childhood. The hog roast was what struck me as dissonant. Everyone was dressed in 1940s outfits (or thereabouts: there were teddy boys and Brylcreem merchants amongst landgirls and flappers). There were wartime buses, uniformed gents strolling the village lanes, jazz in the pub, brass bands playing down the road. Make do and mend stands, jumble sale trestles, Dig for Victory allotments, military vehicles, and village tea stalls. Returning to the past. A wonderful dream (especially for a novelist). People nodding politely as we passed. Bus driver tips his hat. The theatricality of village life. The air raid warden. The steam-powered bus. The larger than life pub landlady. Except the plentiful food. I’m sure the odd hog was roasted on the sly by canny Hampshire farmers. Nonetheless, we visitors to Southwick expected an endless bounty, and we got it. Jam, butter, cream, scones, milk, sugar, tea. Hog, bread, butter, ketchup, sausages. Pimm’s lemonade. Disposable cups, disposable plates, disposable food, disposable income. The 1940s is not my period (though the 1860s didn’t seem so far away, with bowler hats, flat caps and demure dresses). Yet something struck me: about the tales we tell of the past; about the lies we tell of the present. Our government sells us a story of austerity that excuses and justifies many a cut, a shortcut, a politicised shrug. And yet this is very much a land of plenty. If the plenty is not divided equally, is that our problem or not? Is it the government’s problem? In 1864, the country’s wealth was divided even less equally than today. Thousands were made homeless by the building of the Metropolitan Line; thousands more by the shiny new Embankment. But who cares? Nobody really important had to move. Or if they did, they were compensated. These developments began the inexorable vortex that still consumes London now: that those who are prepared to do manual and menial jobs in the centre of the City cannot afford to live there. With the advance of Progress promised after the War, such inequality and unaffordability had decreased. Why is it now again on the rise? “Take your country back,” we were told. Back to the 1960s, before all the wishy-washy-pinko-egalitarian nonsense? Back to the 1860s, before women’s rights, worker’s rights, free education, enfranchisement? Back to the 1060s, and throw in a bit of feudal deference? Wonderful dreams are perhaps always just dreams. The polite nods, the theatricality , the larger than life pub landlady seem less cosy, even a little threatening, when we reflect how shoddily the promises of post-war Britain are being treated now. I loved my visit to a 1940s town, and I congratulate the people of Southwick on a wonderful job. I think it’s wonderful to commemorate the wartime spirit, and there is a healthy patriotic fervour to that commemoration. But there is a strange fetishisation – like Monty Python’s sketch about deprivation – of a past that never was; or a past that was less comfortable and unified than we pretend. I also am reminded how quickly gluttony, with austerity as its pompous ally, consumes our sense of justice. Once again it’s the wonderful Book Connectors on Facebook that has brought me into contact with a new to me author, Amanda James. Even better, her latest book, Summer in Tintagel was published yesterday 14th July 2016 by one of my favourite publishers Urbane Publications and you have the chance to win an e-copy of Summer in Tintagel at the bottom of this blog post. Summer in Tintagel is available from Urbane and Amazon. To celebrate the publication of Summer in Tintagel, I’m interviewing Amanda all about her latest book. Now as her days are nearing their end, she begs Rosa to go back to Tintagel, but is unwilling, or unable, to tell her why. Rosa is reluctant – she has a job in London, a deadline that won’t wait and flights of fancy are just not in her nature. Nevertheless, she realises it might be the last thing she will do for her beloved grandmother and agrees to go. Once in Tintagel, Rosa is challenged to confront secrets of her own, as shocking events threaten to change everything she has ever believed about herself and her family. She also meets a guide to the castle, Talan, a man who bears a striking resemblance to Jory. Hi Amanda. Thank you so much for agreeing to answer some questions on my blog about your writing and Summer in Tintagel. Thank you so much for inviting me, Linda. It’s great to be here. I used to be a teacher but left the profession in 2012 after 15 years. I had always wanted to be a writer and decided that it was a now or never moment. So glad I did. I have four novels published already, Summer in Tintagel is my fifth. I think when I had my first short story published in 2010. This gave me the confidence to really believe I could do it after years of thinking about it. It depends on the book, I think. But in general it’s the research and plotting that’s most difficult. I find the writing relatively easy and love to get lost in the story and my own world. The characters always surprise me too as they rarely end up doing what I’d planned for them! To what extent do you think your experience as a teacher has helped or hindered your own writing? It helped tremendously, especially in the time travel books, A Stitch in Time and Cross Stitch. My main character Sarah Yates/ Needler is a history teacher who travels through time to save lives. As I used to be one – a history teacher, not a time travelling one sadly – I could draw on my experience. I used the time periods that Sarah goes back to that I most enjoyed teaching too. I did include some incidents in the book based loosely on my relationships with staff and students; I won’t say which ones though! I don’t think it hindered at all. I have a pretty eclectic taste. I do love Dean Koontz, and I enjoy thrillers and suspense in general. I do like a good family drama with a twist too. At the moment I have finally got round to reading, I know Why the Caged Bird Sings by Maya Angelou. It is so moving and beautifully written. I love singing and am in the local choir. I used to paint a little and need to find the time to dabble again! I use the internet mostly and ask specific questions on social media if I need to. There are always lots of lovely people who know the answers! I love walking along the cliff paths near my home in Cornwall. I take inspiration from the ocean and rugged coastline. When I’m there, the ideas just flow. Summer in Tintagel opens at a cracking pace. How did that opening evolve? Was it easy to produce or did you have to work hard to create such an incredible atmosphere? Thank you, glad you like it. I changed the beginning after about six months. I felt it needed more oomph and a stronger hook to draw the reader in. I used a scene to open that becomes significant in the story much later on. Hopefully this will intrigue the reader. Summer in Tintagel has a very atmospheric cover. How did that image come about and what were you hoping to convey (without spoiling the plot please!)? The cover is wonderful thanks to my publisher – Matthew at Urbane Publications. We have a female figure looking out across the sea and dramatic coastline. Is she lost in thought perhaps? Is she wondering what to do, how to solve a problem that’s happened in her life? Is she waiting for someone or something? I wanted to convey mystery and intrigue and I think the cover does that. If you could choose to be a character from Summer in Tintagel, who would you be and why? I’d be Rosa, because she’s a strong character with extraordinary abilities. I’ll say no more than that! If Summer in Tintagel became a film, who would you like to play Rosa? Probably someone like Kelly Reilly. Though she is a little older than Rosa, she does look very similar. If you had 15 words to persuade a reader that Summer in Tintagel should be their next read, what would you say? Lose yourself in beautiful Tintagel where you’ll find, love mystery and a long lost secret. Thank you so much, Amanda, for your time in answering my questions and good luck with Summer in Tintagel. You’re very welcome, Linda. Thanks for having me, I have really enjoyed it! Amanda has written many short stories and has four novels currently published. A Stitch in Time was published in April of 2013 by ChocLit and has met with great success. There’s more from Amanda James on her blog and you can follow her on Twitter and find her on Facebook. You can find all Amanda’s books here. Click here to enter to win an e-copy of Summer in Tintagel. Open internationally until 23rd July 2016. Today, 14th July 2016, is release day in e-book and hardback of Amanda Prowse’s wonderful novel My Husband’s Wife, my review of which you can read here. Published by Head of Zeus My Husband’s Wife is available for purchase here. Once a week, Rosie Tipcott counts her blessings. She goes to sit on her favourite bench overlooking Woolacombe and thanks her lucky stars for her wonderful husband, her mischievous young daughters, and her neat little house by the sea. She vows to dedicate every waking hour to making her family happy. But life doesn’t always work out as we would want it to and when Rosie is on the receiving end of some unexpected and unwelcome news, it sets in motion a chain of events that she never would have thought possible and forces her to re-evaluate her life and everything that she thought she knew. Read Rosie’s story in My Husband’s Wife to follow how this ordinary wife and mother reacts when her world falls apart. Can she overcome the situation and get her life back on track? Amanda, I’m thrilled to be welcoming you onto Linda’s Book Bag to celebrate launch day for My Husband’s Wife. Thank you so much for being here and agreeing to be interviewed. Although I think you need no introduction, please could you tell readers a little about yourself? I’m Amanda Prowse and while I’ve just turned 50, I refuse to act like it as I still feel and think that I’m 16 on the inside. In reality, I’m a mum to two teenage boys. I’m an army wife and I’m a writer of women’s fiction. Essentially I write books about ordinary women like you and I who find themselves in extraordinary situations and its how they dig deep, drawing on strength that they probably didn’t know that they had, to get them through those events, or at least make the best of a bad situation. Probably when I was writing my first book, Poppy Day. I’ve always loved reading and been an avid reader but I never thought that someone like me would be able to write a book or be able to get a book published. It felt like it was beyond my ability, with no contacts or experience of the publishing world. I didn’t grow up in a house full of books and I never thought it would be possible for someone like me, but then when I was writing my first book, something just clicked and by the time that I finished it, I really felt that I was onto something. I first realised that I was doing something unusual when I was on the LBC Radio Book Club in London with another author and the host said ‘How hard is it to get your next idea?’ I said something quite casually like ‘You know when you get the whoosh come into your head and you see the book and then you just write it down?’ and everyone just looked at me. There was a bit of a pause in proceedings and they said ‘What do you mean?’ so I said, ‘Well you know, you get that whoosh moment when the book comes in?’ Again they all just looked at me like I was nuts. At that moment I realised that maybe this doesn’t happen to everyone, maybe there’s only a few people that it happens to. I understood that I had this kind of very odd but wonderful gift for what I do; which is to see these books in their entirety in my head and be able to write them down very quickly. Also it helps a lot in that pretty much what I write is almost what goes to print, it doesn’t need much editing because I have a very clear idea of the finished version. So that was the moment I realised that maybe I could do something that other people couldn’t and that it was a bit special. I’m thankful for it every day. I never considered myself to be very creative until I started writing because I always had quite a pedestrian job as a management consultant. Prior to writing, when I think about it, my creative flair came out through the way I dressed and the way that I styled my home. I’ve never shied away from being quirky or having an unusual decorative piece that other people might baulk at, so I suppose looking back that I’ve always had that flair in me, I just didn’t really know how to get it out. I write everywhere and anywhere. I write on the bus, on the train and on any long flights, so plane journeys are great for me, because no one in my family can knock on the door and say ‘Where’s my pants?” I’m kind of in my own little bubble on long haul flights so I get a lot of writing done! I write also write in bed, I write on the sofa, I write in my study, I write in my garden, and in the car. If I’m driving or being driven that’s often my thinking time and I’m writing in my head then as well thinking, ‘Yes that will work’ and I’ll generate an idea, image or a picture. While I’m going along, something will just pop into my head that will enhance the story I’m working on so I’ll store it away and think I’ll add that in next time I’m on my laptop. Another example of working anywhere was that quite recently I was recording Another Love as an audio book in a London studio when I looked out of the window over some rooftops in Queens Park where I was, and with my left hand I picked up my pen and just jotted a few little notes for something I’d seen. The producer said ‘What are you doing?’ and I had to say ‘I’m sorry, I‘ve just had a bit of an idea for a book I’m working on’. He’s like ‘You’re trying to read an audio book,’ and I thought ‘Yep, that is true multi-tasking’, so yes, anywhere and everywhere. I’m very highly motivated to write; I get up early and I write every day. I have so many stories that I have more already than I could write in my lifetime. When they come into my head, I write down one line to remind me of that story. I have over thirty ‘definites’ in my special notebook now and many more that sadly might not make it to print. The hardest part of writing is saying goodbye to a character at the end of a book. They become very real to me, particularly Poppy with whom I’ve had a very close relationship over the past four years, in fact since I first started writing. Even Rosie in My Husband’s Wife is special to me. I’m very very fond of her; I got to know her, I can picture her and I feel like she’s my friend. To send that book off to my publisher and know that’s probably the last time I will think of her or write about her for a while is like waving a friend off at the airport wishing them a happy, safe, long life but actually thinking you’d rather having them living next door to you so you could pop in for a cuppa. I guess that’s the hardest bit, I miss my friends when they go. Walking, I love walking. I love being near water so if I’m near a beach, a pond, a river it doesn’t matter, any water I find quite inspirational. Just sitting and looking at it can really get me to a quiet place of contemplation where my ideas flow better and more often. Simeon and I will go for a long walk after dinner, a couple of hours just wherever we are – it doesn’t matter. It could be a coastal path, up a hill, around a mountain, it could be a busy city but we walk and we chat and that’s good. It helps me talk things though with him and it helps my idea and my creative process. The only downside of my job is that it takes up so much of my time that my reading has absolutely dropped through the floor. Instead of devouring three or four books a week, which I did my whole life and loved every second of, I’m now reduced to reading one or two books a month, so I have to be very, very particular. I read any good story from any genre, I love the Twilight series, I will go back and re-read things like The Thorn Birds, my absolute favourite. Most recently, I’ve enjoyed The Last Dance in Havana and The Optician’s Wife. I have to be very careful and more picky about what I read because its such a rare thing for me to be able to do nowadays but literally any good story by any good author is the best answer I can give. My Husband’s Wife is part of your No Greater Courage series. How did that series come about? The No Greater Courage series was a follow up to the No Greater Love series, which featured different forms of love at its core; but then I started to write about women’s bravery much more and how women had to be brave to get through certain situations. I think that women have an amazing capacity for this and it always surprises me the strength that women show in situations where you just think that actually they would crumble. Your writing encompasses some challenging themes at times, like adultery, alcoholism and post-natal depression. Why do you choose to write about such issues? I don’t set out to write about these issues but these tend to be the stories that come into my head. I believe that you can only really write convincingly about what you know. These are the things that have touched my life and have shaped, moved or scarred me in some way, so its just really drawing on my own personal experience. For example, in A Mother’s Story I write about Post Natal Psychosis. I had nothing like that condition, but I did suffer Post Natal Depression in a mild form and therefore I was able to imagine what that would be like if that was exacerbated. Actually I think all these topics – drinking too much, feeling unhappy about your weight or being the victim of someone who has an affair – this is what happens to us, this is real life, this is what life is. Life is this beautiful, wonderful journey into the unknown but then there are these huge potholes of devastation and sadness that we fall into and that we have to find a way to dig our way out of. That’s just what life is. I think that’s why so many women find my books relatable because they see aspects of their own story and their own life in them. I use the Internet a LOT and don’t hesitate to use consultants for very specialist advice when they are needed. I always interview at least a dozen women before I write on a particular subject and these ladies find it therapeutic to share their stories with me. This stage is critical in helping to shape my opinion. When I’ve finished the bulk of the manuscript, I go back to the consultants and volunteers to check that I have the right details. For example, I’ve just been writing a book dealing with anorexia. After I’d finished the book, but before I sent it off for editing so I still had a chance to adapt and amend it, I spoke to a group who suffered from eating disorders to make sure that I was pitching it right, that what I thought was true was realistic and accurate so that I could tweak the slightest detail that wasn’t absolutely spot on. For my credibility as a professional writer it is vital that it is a true representation rather than just something that comes out of my head and with each book being so different and varied, it takes a lot of effort. Frequently when I read your books I find I am reduced to tears – often of joy and frequently of sadness when I identify with your characters. How are you affected when you’re writing? Exactly the same! As I’m writing it I often find myself laughing, particularly in My Husband’s Wife when I was writing a lot of the dialogue between the children and their mother. I found it hilarious; they’re really funny girls, great little characters and I use that humour as a kind of foil for the darker moments and anyone who has read Will You Remember Me? will know exactly what I’m talking about. So yes, exactly the same for me Linda, sometimes I’m laughing, sometimes I’m crying, my stomach churns at the tense moments and I get that great raised fist pumping moment of joy when something great happens. What’s more, I know if I’m feeling it and it’s happening for me, that its going to work in the book and the chances are that this is also how the readers will react; so actually it’s a really good marker for me. People say my books are a true emotional roller coaster and I think that’s a really good way of describing them; the fear, the anticipation, the joy, the laughter and the sadness, it’s like a very complex recipe, but it all seems to work at the end. You also balance the emotional elements with a lighter humour too. How difficult is it to achieve that in your writing? I think I’ve kind of strayed into this question in my response above. It’s not a conscious thing but as I see the book in my head before I write it down, those moments are there and obviously that comes from my real life where I balance tragedy or sadness. I think partly that it’s all these years of being an Army wife and, as military families will tell you, you kind of need a particular brand of humour just to get you through the darker times. Very often, even in times of great distress or sadness, if you can find something to laugh at, or find a small element of humour where appropriate, it can lift the darkest moment and remind you that actually life is good. The women in your stories find themselves on roller coaster journeys. To what extent are they based on elements of your own life or on the lives of those you know? They’re all based on my own life experiences, albeit not such extreme examples as the situations that many of my characters find themselves in. That being said, however, when something has happened to you, like you’ve ever deeply loved someone and know how much you need and value that love, then it’s easy to imagine having your heart broken. At the end of the day we all have the same emotional weapons in our arsenal; we’re all the same, it’s all we have; joy, sadness, humour, resilience. All these aspects of human nature are there in my life, so it’s the case when I am writing a story, of pulling out those pieces that are most appropriate and making it work. In summary, I think that so long as you’ve experienced living life fully, you can imagine what it’s like to feel these things, so that these elements are all loosely based on my experience, or of those close around me, but with the volume turned up I guess. In many ways your plots are quite prosaic, concentrating mostly on ordinary life. What draws you to writing about the events that many of us have experienced? I think that you can only truly write with conviction about what you know. I’ve never climbed a mountain, I’ve never done anything heroic, saved a life, sailed an ocean or swum a shark infested sea. I’ve never done anything like that, so all I can write about is ordinary life and actually I’m just a very ordinary wife and mum and I write about all of our lives. I think is probably the key to a lot of my success because I’m writing about all of us – it’s no coincidence when people say ‘that could have been my story , that could have been my sister, that could have been my friend’, because it is, it is all of their stories. I actually think I’m kind of a like a mouthpiece for us all. I hope I speak up for us all and I hope I take topics that are difficult for us to discuss and make it easier to talk about by turning them into fiction. The title My Husband’s Wife has several references and meanings in the story. I know you won’t want to give away the plot, but which comes first, the title or the concept in your writing? That’s a good question! All of my books come to me fully formed and ready to write down, so I don’t have to give them too much thought. This is because it’s like watching a film in my head and I just write about what I’m seeing. Very often its like I’m seeing that movie for the very first time. I enjoy it and I think ‘Oh, that was good’ and more often not, the title comes with the story. I see the story title just as I would see it as a movie title page so I see My Husband’s Wife and then I see the story as if it were a film playing out. After that I just write it down. As I’m saying that, I realise that it sounds pretty wacky, but that that’s how it happens to me and very often the story and the title come together. Occasionally my publishers will suggest a new or a different title and I always go with their suggestions. These guys are the professionals and that they know best and usually it works. I really like the title My Husband’s Wife . It does have a rather layered meaning which is kind of clear when you get to the end of the book. I find your development of setting incredibly realistic. How do you create settings? Do you have photographs of the interiors and places? Do you create mood boards or use something like Pinterest, or are those images all in your mind? I spend a lot of time visualising the settings and fix a very firm image of them in my mind. This creates a very strong reference for me, which I populate with minute detail. I imagine I see the rooms and that I’m an integral part of it all, so I just describe where I am and what I see. Often I see a lot more than is in the book. I don’t include all of the detail as that might be a bit over the top and it could become a bit monotonous – no one needs to know if there are four cups or sixteen cups, or maybe that the clock said 2 o’clock or 4 o’clock, so I just share the most interesting pieces that I think are necessary to convey the scene. The finer detail is in my head and it will always be there but that’s kind of my own background material. In My Husband’s Wife Rosie is very much shaped by her past. To what extent do you think that is part of the human condition? I think it’s impossible not to be shaped by the events of your past but I’d just like to add as a caveat that just because you’ve been through something negative or debilitating, or sad, or harmful, it doesn’t mean that’s the person you become. Very often a lot of the very strong inspirational women I meet have used these negative aspects of their past, turned it into fuel and gone on to make something bloody brilliant happen in their future as a result of it. My Husband’s Wife is dedicated to your husband Simeon and I know he is hugely supportive of your writing. How has his help enabled you to achieve your success? Simeon is the reason I am able to write. I think it is very rare to have a partner who says ‘Yep sure, give up your job, we’ll sell the house, we’ll sell the car, we’ll cut back on all of our expenditure, just sit at home and write a book and we’ll see how it goes’. I mean that level of support was something that I never expected and it was tough for my family when I started. At first being skint and having to live off pasta and beans felt like a wonderful Bohemian adventure, but it very quickly became horrible not being able to buy the kids new trainers or have a holiday. Things that are small actually and don’t really matter, but feel like a big deal when you can’t do it or can’t afford it. He’s the one that told me I should write and he had faith in me. That made me think that if Simeon has faith in me then maybe I can do this after all. The reason it’s so important is that he’s the one who allowed me to bring my dream to fruition without pressure. He said ‘Have a go. If it doesn’t work at least you’ve tried’. Because I was writing pressure free, it was the most amazing gift he could have ever given me. And he continues to be incredibly supportive. We both are of each other. I support his career, he supports mine and we look at our diaries and just whose ever job takes priority is just where we are. So basically yes, he is very supportive and I love him very much. I’m thankful for him every day. My Husband’s Wife has an unidentified female on the cover. How did that image come about and what were you hoping to convey (without spoiling the plot please!)? Its funny, this is one of the strongest images that I think relates to the character in the book. Very often the creative team who are putting together my covers and the team who are looking at the actual book are working remotely. The moment I saw the cover of My Husband’s Wife I thought ‘That’s Rosie, that looks like Rosie’, and her vulnerability, her ordinariness, her size and her posture for me perfectly sum up the character. I have absolutely no say in my covers, I leave them down to a team who are the experts which is how I believe it should be done. I don’t have a say about the colour. I don’t even think about them actually. I don’t think about the colours, the covers, the text, the font, any of it. I just write the stories and then it goes off to a team and that’s their passion, that’s their strength. I think its important to leave them free to do their job and I think they do it very well. But it was amazing the first time I saw the cover and thought ‘Yep that is Rosie’. I’m over the moon with it. If you could choose to be a character from My Husband’s Wife who would you be and why? Oh that’s a very good question again and tricky to answer without giving too many spoilers. I would probably be Mo, Rosie’s Mother in Law. She has a lovely balance in her life and she seems settled and she has a beautiful view and a garden. What more could I want out of life than that? If My Husband’s Wife became a film, who would you like to play Rosie and why? Oh my word! Obviously we are in talks with people for a lot of my books to be made into films. I would have no choice over this but I think the lady who played the Beth in Broadchurch, Jodie Whittaker, maybe not physically, but personality wise, she would be perfect. I know you support charities through your work. Would you like to tell readers a little more about this? Yes, I am an ambassador for the UK Sepsis Trust. Sepsis is a widespread but relatively unknown condition that kills more people every year in the UK than Road Traffic Accidents, HIV, Breast, Bowel and Prostate Cancer put together. It’s one of those conditions that can be fatal but which is entirely treatable if you catch it early enough. The problem is that most people, including healthcare professionals, can often miss the early tell-tale signs. To help readers find out about the symptoms of Sepsis and what to look out for, I wrote a book called Three and a Half Heartbeats about a family who are touched by Sepsis and I have donated all of the proceeds to the charity to help promote their fantastic, lifesaving work. It has been very rewarding to be involved in the project as I’ve been contacted by a number of readers who told me that as a result of their reading the book, they correctly identified the symptoms of Sepsis in their loved ones and having voiced their concerns to Doctors, had their amateur diagnosis confirmed and saved the lives of friends or family members. My philosophy is centred on the idea that to be happy, you only need enough. To me, it is very important to give something back. I’m delighted to have helped people in a practical way through the medium of story telling. And finally, Amanda, if you had 15 words to persuade a reader that My Husband’s Wife should be their next read, what would you say? For anyone who’s felt the leap of fear in their throat that one day, the one they love might have a change of heart. Amanda Prowse is a No.1 International Bestselling author who, along with her family, has been a regular visitor to the beautiful North Devon resort of Woolacombe for years. Always looking for new ideas for stories, a chance encounter at the Beachcomber Café on the seafront during her annual summer holiday last year gave Amanda Prowse an idea for her latest book, with Woolacombe as its setting. Now, in the summer of 2016, My Husband’s Wife is set to be THE holiday read of the season. Amanda Prowse is recognised as the most prolific writer in the UK today and has been described as ‘The Queen of domestic drama’ by the Daily Mail. Amanda Prowse is the bestselling author of contemporary family fiction and has written twelve books and six novellas that have been translated into dozens of languages all around the world. Her titles include What Have I Done? which was voted an Amazon Kindle editor’s book of 2013 and A Mother’s Story that received the accolade of being the best family fiction novel by the Daily Mail. It also won the coveted Sainsbury’s eBook of the Year 2015. It gives me enormous pleasure to be hosting a publication day interview with J A Corrigan, as her debut novel Falling Suns is published today July 14th 2016 by Accent Press. Falling Suns is available for purchase from all good bookshops and from Waterstones, Amazon, The Guardian Bookshop and W H Smith. Hi Julie-Ann. Thank you so much for agreeing to answer some questions on my blog about your writing and your debut novel Falling Suns. Firstly, please could tell me a little about yourself? 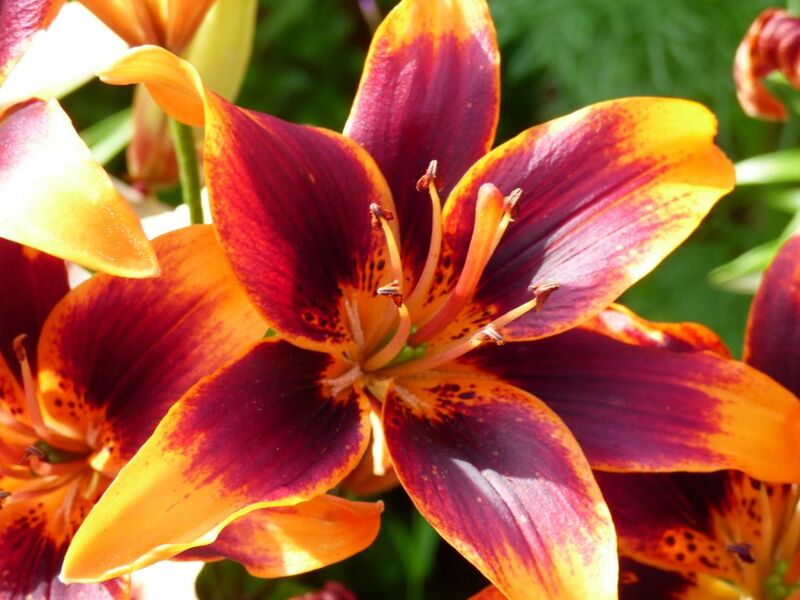 Hi Linda, and thank you for hosting this Q&A blog. I am married, with one daughter. I live in Berkshire, but was born in Mansfield, Nottinghamshire – a place with which I still have strong connections. I’m a qualified physiotherapist and have worked within both the NHS and privately. I gave up working last year to concentrate more on my writing, but may well go back to it one day. I always wanted to write. I wrote as a child and a young teenager, but then I put the idea on a back burner. Oddly enough, the desire came back to me soon after having a baby, but I decided to wait until she was a little older before I had a go. I’m glad I did now as the whole process is so time-consuming and the very nature of the ‘craft’ does seem to encourage obsessiveness. I don’t think that obsessiveness (that you need to have to be successful I feel) sits that well with having a young child. Not for me anyway – but I do know that other writers who cope brilliantly. I’m not great at multi-tasking; a professional job and a child was enough with me to cope with. I started writing seriously when my daughter was ten. I find the first draft of a novel the most difficult. It is then when I need massive swathes of time to think and write. I’ve come to love writing the second draft, and editing. I have to say, I do love researching my novels too. A little bit too much sometimes! What are your writing routines and where do you do most of your writing – I know you like to write when you’re travelling for example? I’m definitely an early morning person. I write more prolifically and am the most creative first thing in the morning. When writing a first draft I try to get up at 5am, and I’ve usually written 2,000 words by late morning. Any other words I add that day are a bonus. I can’t write anything new in the evening, but I can edit at that time or read for research. I don’t write that much when I’m travelling or on holiday but I always have a notebook in my bag that comes home bulging. It starts on the plane (if going abroad); ideas for stories seem to come thick and fast, including short story concepts as well as plot points for a novel-in-progress. Lying on a sun lounger facing the sea I allow my mind to open and the ideas that emerged on the plane begin to sprout and grow. I think definitely a journalist in the first instance. Also, after loitering on the periphery of the literary world I would love to be involved in PR and marketing. You have written, and had published, many short stories. What were the differences and challenges in writing a full-length novel? Writing a novel is a marathon; the writer needs to keep going. Whereas writing short stories is more of a sprint – concentrated energy given to a smaller amount of prose. I do feel that many of my short stories were novels-in-waiting and it was this thought that finally pushed me into attempting my first novel. How did you go about researching detail and ensuring your novel Falling Suns was realistic? I did a lot of research for Falling Suns. To try and give the novel true veracity I researched every aspect of the themes that are explored in the novel: institutional corruption, method acting, Chinese medicine, mental health problems, cosmetic surgery, as well as locations in Poland, and London! You explore some important themes like corruption, phone hacking and morality that reflect and affect today’s society in Falling Suns. How far was this your primary aim and how far did they arise naturally out of your plot? In all truthfulness these themes came about more through plot than a conscious desire to explore these aspects of society. However, I knew these themes would be explored as soon as I began outlining the novel and so at that point I made a conscious decision that the novel’s tone would centre on these issues. Have you changed your opinions of those who take revenge in their lives as a result of writing Falling Suns? Writing the novel encouraged me to think a lot about the moral issues surrounding revenge. It is never the right and ethical act, and yet it is a compulsion that I think sits stubbornly, perhaps even resolutely, inside many of us. The need for revenge creates a lot of conflict within an otherwise ‘moral’ character – and that is a good place for a writer to begin a story. National institutions are not represented very positively at times in Falling Suns. How do you think readers will react to the way you explore their corruption? In Falling Suns although Littleworth isn’t represented in a vastly positive way, I do try to emphasise that the events which occur there are not representative of all psychiatric institutions. I.e. when Jonathan researches an institution in the south of the UK. Falling Suns is a work of fiction and the characters that are portrayed in Littleworth are indeed fictitious; however, it is not outside the realms of fact that what occurs there could happen. Wherever a person, or an organisation, holds power there is always the opportunity for corruption. It is a human trait that shows itself time and time again. I love the blurriness of the cover to Falling Suns. I think it represents the blurring of lines between morality and the law that your novel explores. What were you hoping to convey with that image (without spoiling the plot please)? I think you are right! I also think the image represents motion in stillness, if you like. Although Rachel’s son Joe is not alive, not physically existing, he does indeed still exist very strongly inside her mind. She is reluctant to let him go – and here lies Rachel’s dilemma, and sadness. I do love the cover that Accent Press designed for me. How did you create Rachel’s character? Did you write her back-story, have a character profile, create a mood board, use Pinterest or some other method? I have to admit, I don’t do a lot of planning of my characters. I mean, I have a strong image of what they look like and their basic personality, but I don’t really start to expand on that until I start writing. Rachel was very difficult to write and it took me a few drafts to really ‘get’ her. She had to be strong but vulnerable. Capable but fragile. I think I really got to grips with her once I did begin to explore her past and her childhood. And of course I was able to use Jonathan to give an outside viewpoint of her. If you could choose to be a character from Falling Suns, who would you be and why? I would probably be Jonathan! I’d have loved to be a journalist! If Falling Suns became a film, who would you like to play Rachel? That’s an easy answer! Uma Thurman. Although she might be a little too old. You didn’t ask, but I’d have Charlotte Rampling play Margaret! If you had 15 words to persuade a reader that Falling Suns should be their next read, what would you say? A novel addressing every parent’s nightmare and by reading we might be able to understand ourselves a little better. Sorry, that’s 19. I’m not good with sticking to word counts! Thank you so much, Julie-Ann, for your time in answering my questions. J.A. Corrigan now lives in Berkshire, but was born in Mansfield, Nottinghamshire. Her maternal grandad was a miner, her paternal, a baker. Her gran worked on a fruit and veg store in Mansfield’s market square. She loves to run, cook, and drink good wine. She likes to read great novels, autobiographies and a diverse range of non-fiction. Adoring travel, JA seems to be at her most creative, and most relaxed, sitting in a very narrow airline seat, going somewhere. She has been writing seriously since 2010 and her short stories have been published in various anthologies. Her debut novel, Falling Suns (Accent Press) is a compelling psychological thriller that explores the darker side of human nature. Today I’m delighted to be part of the launch celebrations for Helen MacKinven’s latest book Buy Buy Baby. I reviewed Helen’s debut Talk of the Toun last year and you can read my review here. Buy Buy Baby was published by Cranachan on 7th July 2016 and is available for purchase here. I met Helen recently at an author and blogger event and discovered what a lovely person she is so I’m thrilled that she is writing a guest blog for Linda’s Book Bag today all about the support she has enjoyed as an author. I’m also reviewing Buy Buy Baby. 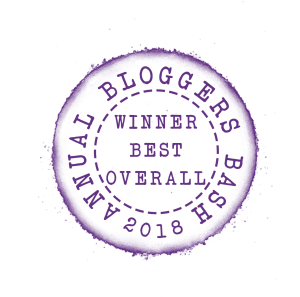 For this ‘stop’ on the Buy Buy Baby blog tour, Linda invited me to write a guest post on being part of a writing community, either online or both, and it made me realise how lucky I’ve been on my writing journey. This image was on one of my birthday cards this year. It’s a great analogy of friendship but also one that reminded me of my relationship with people I’ve met over the last few years connected to my writing. Writing is a solitary activity and I’m happy to spend time with only my laptop and dogs at my side but I suffer from cabin fever if I don’t get out and about often enough. After tapping away on the keyboard, for me, it’s important to seek the company of like-minded folk. As a writer, I’ve had lots of DD support since I began writing. From the beginning of my writing journey, I’ve been very fortunate to have been unofficially mentored by my close friend, writer Karen Campbell, who has offered me feedback, publication advice and even hosted my book launches. When I did a MLitt in Creative Writing at Stirling University, I was part of a small group of new writers and apart from critiquing each other’s work throughout the course, we’ve all remained good friends (despite trading brutally honest comments in writing workshops!) and meet regularly to share our highs and lows in writing and life. I did dabble with attending a Writing Group and while I appreciate the benefits for writers, it wasn’t the best way for me to develop as a writer, as unlike the MLitt group, we all had different agendas which didn’t match my needs. The main reason I left was that most of those attending at the time would not be my target readers and this meant I was on the receiving end of multiple points of view from folk who had no interest in the themes and setting of my work in progress. I decided that I should follow my gut instinct and listen to comments from trusted readers rather than a random selection of writers whose attendance was inconsistent. But, I’ve also gone to lots of one-off writing workshops as well as two residential weeks and met other writers who have stayed in touch with me either in person or online. As the old BT advert says, it’s good to talk and even if that means moaning about rejections, writers’ block and a growing backside from sitting too long, I find it healthy to mix with other writers. Also, by taking a screen break, I’ve become actively involved with local spoken word groups and their events have helped me build my confidence as a performer and been the source of lovely new friends. I live in the central belt of Scotland which makes most events accessible but sometimes, it’s not possible to meet in person and that’s where social media is a huge bonus. Through Twitter and Facebook, I’ve connected with many writers, who share links to competitions, opportunities and offer a virtual shoulder to cry on or a #woohoo to celebrate success and their support is especially welcome at times when I’ve needed a boost. But, getting me and my words out there isn’t just about meeting other writers. Since the publication of my debut novel, Talk of the Toun, I’ve had the privilege of meeting readers and bloggers in person and interacting, not only online. At a recent Book Connectors event in Edinburgh, I got the chance to put a face to the name and thank bloggers, like Linda, who’ve very kindly helped me on the path to publication. To have the support of a reader or blogger who’s tweeted that they’ve enjoyed my book or stayed behind at an event to chat to me couldn’t be measured in bra sizes! Two very different women, Carol and Julia, have one thing in common – the desire for a baby. When they both meet Dan, this desire will lead to more complications than they could possibly envisage. I thoroughly enjoyed Buy Buy Baby and noticed that, whilst the characteristics that make this very much a Helen MacKinven novel are still there, there is a greater sophistication to her writing now too from her debut Talk of the Toun. I really appreciated the variety to the narrative, with the range of sentence structures and the use of Carol’s journal so that I found Buy Buy Baby very entertaining and convincing. Buy Buy Baby is filled with local dialect and accent that gives a real sense of setting and character, especially to Carol. There’s also the wit and humour that I’ve come to expect from Helen’s writing. The tone is sharp, sassy and often littered with entirely appropriate expletives and colloquialisms so that it’s as if you’re meeting, rather than reading about, real people. Also typical of Helen MacKinven’s writing is the fact that, underneath the banter and humour are some serious issues sensitively handled that make the reader think. Carol’s intense grief at the loss of her son Ben, both women’s need to have a child, the use of material possessions to enhance an otherwise unsatisfactory life – all these enhance the depth and quality of the novel. Another aspect that appealed to me as a reader too was the literary conceit of writing. From Carol’s journal through Julia’s day job to Kirsty’s book launch there are nods to the writing world that give an extra layer of authenticity to Buy Buy Baby. I really enjoyed Buy Buy Baby – and coming from someone not remotely maternal, that’s saying something! I’m delighted to be part of the launch celebrations for The Salt Marsh by Clare Carson. The Salt Marsh was published by Head of Zeus on 16th June 2016 and is available for purchase in e-book, hardback and paperback from Amazon, Waterstones, W H Smith and directly from the publisher as well as to order from all good bookshops. Today Clare has kindly provided Linda’s Book Bag with a guest post all about the inspiration of birds and her protagonist Sam. Birds feature in both the novels I have written – Orkney Twilight and The Salt Marsh. These are stories about Sam, the daughter of a police spy. The links between birdwatching and spying are numerous. Many spies have been keen birdwatchers. The quiet skills of observation and identification are common to both. In spying slang, a birdwatcher is a spy. But the main reason birds appear in my books is because a sense of place is part of all thrillers and, as far as I’m concerned, birds are part of every place. I love watching birds, but I’m no twitcher – I don’t always have a pair of binoculars to hand and I wouldn’t go out of my way to spot a rare species. I prefer the serendipity of finding birds in unexpected places. I came across an off-course whimbrel in London’s Saint James’ Park when I was taking a breather from the office because I was fed up with my job. I was eyeballed by a kestrel which had landed on the balcony of my south London flat one morning when I was beginning to wonder what on earth I was doing there. A head-banging pileated woodpecker cheered me up when it appeared in the garden of the unfurnished Washington D.C. house I’d just moved to, after travelling across the Atlantic with two toddlers in tow. In The Salt Marsh, Sam feels a particular kinship with barn owls. I’ve had three close encounters with a barn owl. The first was on holiday in Corsica with my husband, tipsily swaying back late one night from a restaurant along a dark mountain road, we almost tripped over a pair of round eyes staring up from the tarmac. A barn owl chick had fallen from its nest, Disneyesque in its white, fluffy cuteness. We stood guard, flagging down approaching cars and asking them to wait as it took its bearings, hopped away and disappeared in the maquis. The second barn owl was in Norfolk. We had been to visit an old friend who had bought a house in the middle of nowhere. Driving back in the dark we lost our way, pulled over to look at the map and caught the wise bird in the headlights, sitting on a gate post. It couldn’t be bothered to budge and watched with disdain as we argued about which C road we were on. The third barn owl was in Norfolk again – out on the north coast. The first evening of a summer holiday after a tetchy day stuck in traffic, I dragged my family with me for a walk. As we reached the path across the marsh, the ghostly bird swept by our heads, its blunt face glowing in the dusk. It stopped and hovered a few feet further on, wings flittering like a moth, before it gave up on whatever creature it had been tracking, swooped away and vanished in the dark. When I was searching for a bird which would provide Sam with solace in The Salt Marsh, this was the one that appeared in my mind. Clare Carson is an anthropologist and works in international development, specialising in human rights. Her father was an undercover policeman in the 1970s. She drew on her own experiences to create the character of Sam, a rebellious eighteen year old who is nevertheless determined to make her father proud.